My Bargain Basket: Walmart: FREE Scotch Brite Sponges + possible moneymaker! Walmart: FREE Scotch Brite Sponges + possible moneymaker! Print your coupon for $1/1 Scotch-Brite Brand Product here. 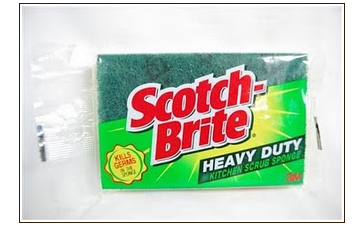 You can find single Scotch Brite sponges priced at $.84 at most Walmarts! Yay! That's FREE sponges, plus possible overage if your cashier will allow it!